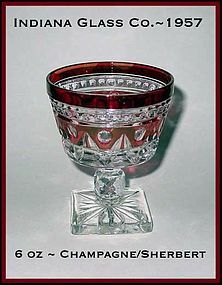 These ruby flashed 6 oz champagne/sherberts are 4 1/4" tall and in excellent condition. I can't express the beauty and quality of these pieces in a photo! They are stunning! 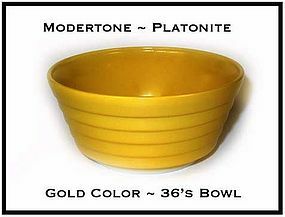 They are called Park Lane and were made in 1957 by Indiana Glass. 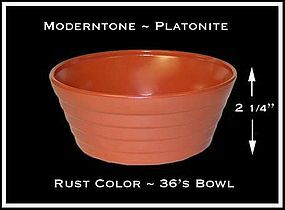 $45.00 ~ all 4 cactus pots-SOLD! - Thank You! These Fire King Cactus pots are in great condition. 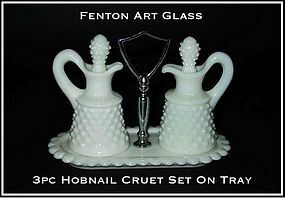 They were made by Hocking in the late 1930's, and early 1940's. These colors are the only different ones made. 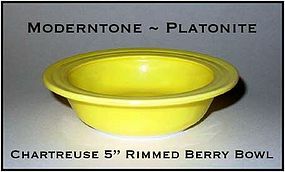 This fired on rust colored deep 36's bowl was made by Hazel-Atlas Glass Co. in the Moderntone pattern. Excellent condition! 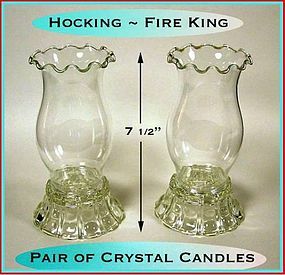 These Fire King candles are in excellent condition! 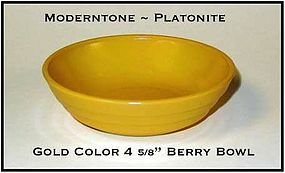 This fired on gold colored berry bowl was made by Hazel-Atlas Glass Co. in the Moderntone pattern. Excellent condition! 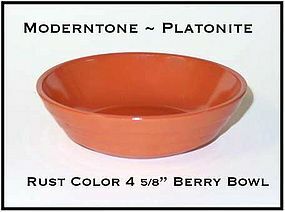 This fired on rust colored berry bowl was made by Hazel-Atlas Glass Co. in the Moderntone pattern. Excellent condition! 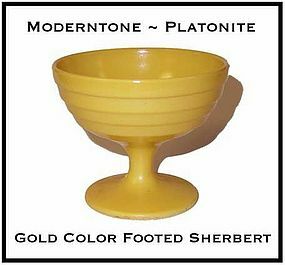 This fired on gold colored footed sherbert was made by Hazel-Atlas Glass Co. in the Moderntone pattern. Excellent condition! 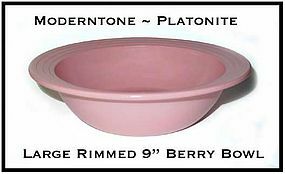 This fired on pink colored large berry bowl was made by Hazel-Atlas Glass Co. in the Moderntone pattern. Excellent condition! 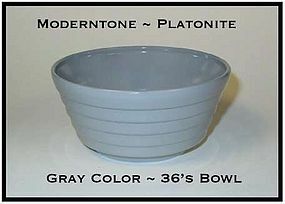 This is one of the original pastel colors. 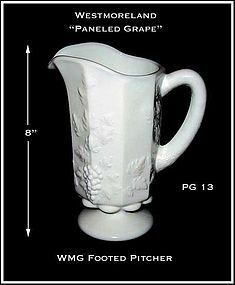 This white milk glass Paneled Grape footed pitcher is in excellent condition! It is 8" tall. 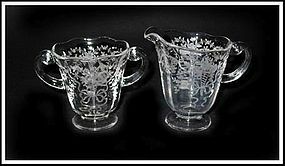 This Corsage pattern creamer and sugar bowl were made by The Fostoria Glass Co. They are in excellent condition! 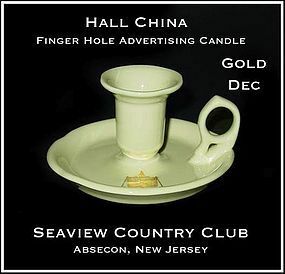 This finger hole advertising candle was made by the Hall China Co. It is the only one like this that I have seen that didn't have the Autumn Leaf pattern on it. It was made for The Seaview Country Club in Absecon New Jersey. It does have a little gold trim on it and the bottom is signed with the round Hall circle mark. It is in excellent condition. 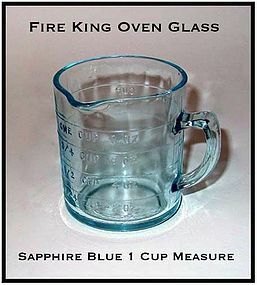 This 1 cup sapphire blue measuring cup is in excellent condition and is signed Fire King on the bottom. 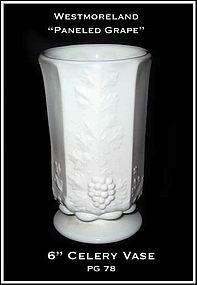 These 3 footed candles were made by Fenton in the late 1920's. They have a petal pattern edge, and are in excellent condition!